Aksak Duo features Turkish master musicians Mesut Özgen on guitar and Cihat Askin on violin. Presenting an eclectic program of music, the virtuosic duo plays classical music from the Baroque era to the 21st century, arrangements of Turkish folk music, their own compositions, and new works written especially for them by composers including Pablo Ortiz, Robert Strizich, David Evan Jones, and Christopher Pratorius. A stunningly versatile and expressive musician, Özgen is both a strong advocate of new music for guitar and a composer whose works show the deep influence of traditional Turkish music. 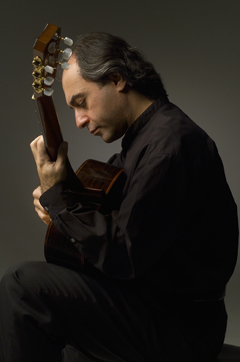 A member of the guitar faculty at the University of California, Santa Cruz since 1998, he performs throughout the United States and Europe, including a recent appearance at the International Paco Peña Guitar Festival in Cordoba, Spain. Istanbul native Askin is a master of both traditional Turkish music and Western classical music. 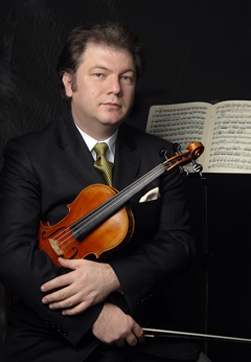 Currently a professor of music at the Turkish Music State Conservatory in Istanbul, he is a regular soloist for all the major orchestras in Turkey, and tours internationally in Europe, Asia, Africa, and the United States, appearing with groups such as the Dusseldorf Philharmonic, the Ukraine National Philharmonic, and the Sofia Philharmonic Orchestra.